Breakfast: Today, I will share you about my breakfast. This time, I baked some banana muffins the previous day. 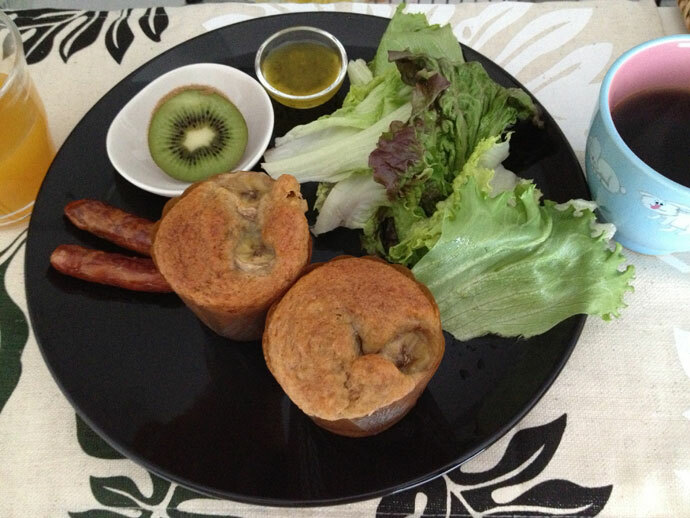 So…Banana muffin, Fried-out sausages, Salad ( usually mix various green leaves), Original dressing, Kiwi fruit. And…Fruit juice and coffee for drink. Do I drink too much!? Well, it’s our western-style breakfast.